Richland Creek Greenway is one of many of Nashville’s evolving system of greenways. It is located about 15 minutes West of downtown and is also accessible by Bus route 50. Parking in available at the McCabe Trailhead (adjacent to the Golf Course Clubhouse). 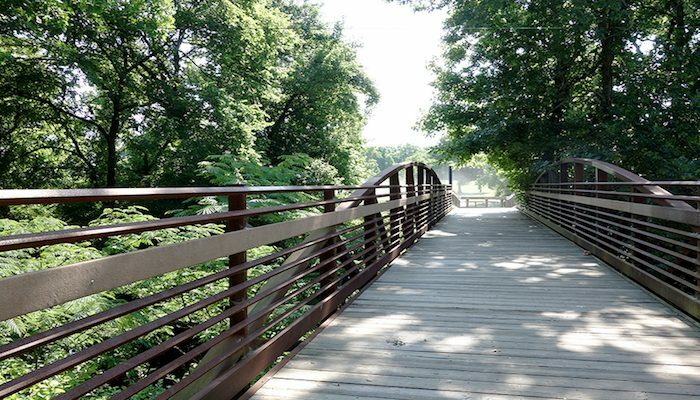 This greenway features a multi-use trail that loops around McCabe Park, a 1-mile portion that follows Richland Creek as well as a 1-mile portion that follows the railroad tracks between White Bridge Pike and Cherokee Road. Rail history buffs will want to stop at the White Bridge Road trailhead, where there is a historical marker for Dutchman’s Curve, the site of the Great Train Wreck of 1918, one of the worst rail accidents in the county’s history.